Design challenges? No worries: Window Concepts has seen them all. That’s why we carry a marvelous selection of Hunter Douglas window shutters to accommodate any space and style. And if you’re stumped as to what would work best in your space, our design consultation will gladly walk you through it to avoid “information overload.” As with everything this nationally respected brand does with window covering, these shutters have been engineered to maximize your privacy and light control while echoing classic style to suit Chester County’s rarefied tastes. Our top-selling Hunter Douglas Heritance line of window shutters are in a stately plantation style and of course real wood. This is crafted using dovetail construction so you know your new shutters will withstand repeated use over a long time. Choose from a wonderful array of paint and stain shades so that your new plantation shutters will ideally complement your room’s decor. In NewStyle window shutters, the designers and engineers at Hunter Douglas have outdone themselves yet again! This time they’ve managed to marry the timeless classic look of real wood shutters with the durability of modern materials. These attractive window treatments sport a low-luster finish for rooms that have a subtle, calming look such as earth tones or rustic themes. In addition, the price for these superb hybrid shutters is kept irresistibly low. Need window shutters that have the perfect painted look AND can resist UV rays? Your ready answer is here thanks to Hunter Douglas’ ingeniously made Palm Beach line. These ultra-cool modern shutters are made of Polysatin, more than a match for UV. 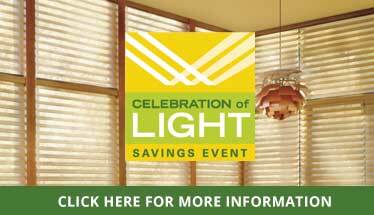 Ideal for rooms that heat up fast in the Main Line summer, Palm Beach window shutters don’t warp, crack, or fade! Plus, these beauties are extremely customizable to make their operation virtually effortless, including PowerView motorization and an app so you can schedule your shutters’ opening and closing. Get your lovely new Hunter Douglas window shutters at our Paoli, PA store and you’ll agree that this investment in your home’s long-term appeal is both reasonably priced and eminently worth it.